The garment printer isÂ aÂ newest createdÂ Industrial DTG direct to digital apparel printer.Â It was built under newest SureColor printing technology, 360nozzle per line, total 3600Â nozzle,Â variableÂ ink droplet technologyÂ to get aÂ grayscaleÂ printing result, AirÂ negotive pressure system go withÂ individualÂ keep wet cap station to anti head clog.Â Match with Wasatch professional Color raster RIP to get a vivid printing result on light and dark underbase. Combine with Focus IPPSÂ control system to get a reliable qualityÂ thanks to the topÂ industrial configuration as French Scheider PLC controler, Touch screen,Â Â Fuji filmÂ 750W AC servoÂ motor, DualÂ ball screw and THKÂ Linear rail. 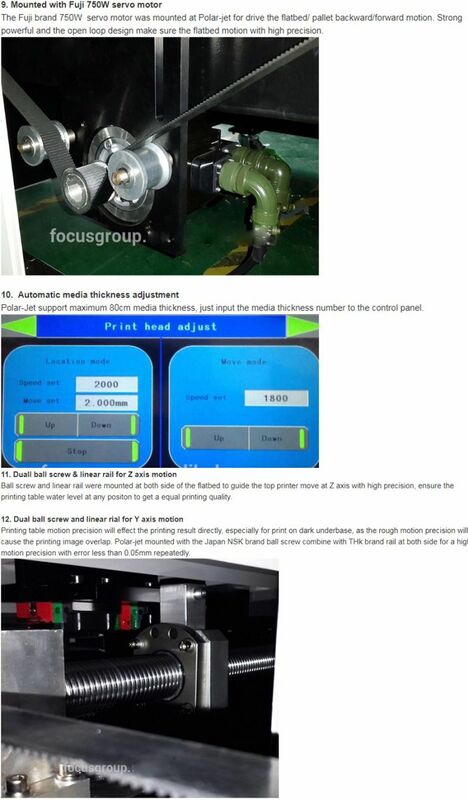 Compare with Original SureColor Tshirt printer,Â FocusÂ Polar-Jet is faster, superÂ printing size, industrialÂ made and also costless. 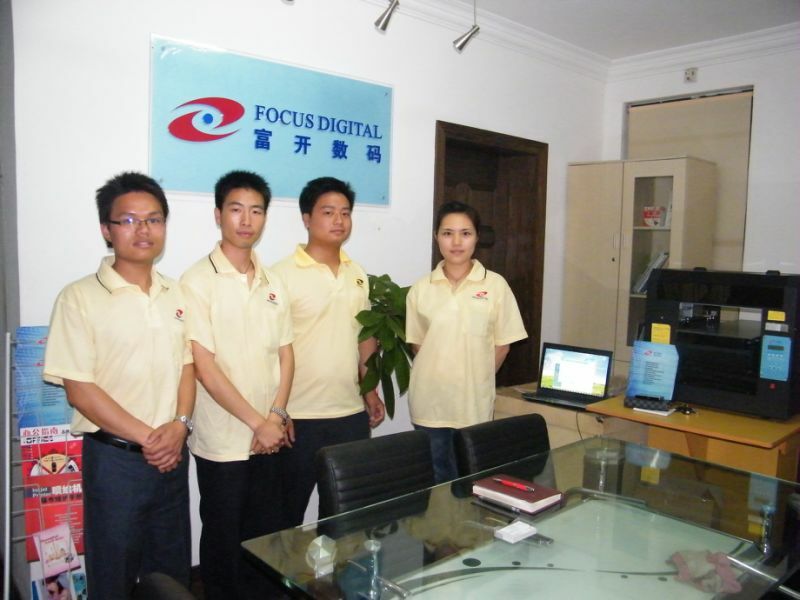 Focus Polar-Jet isÂ the first choiceÂ to lead youÂ get the industrial DTG printing. 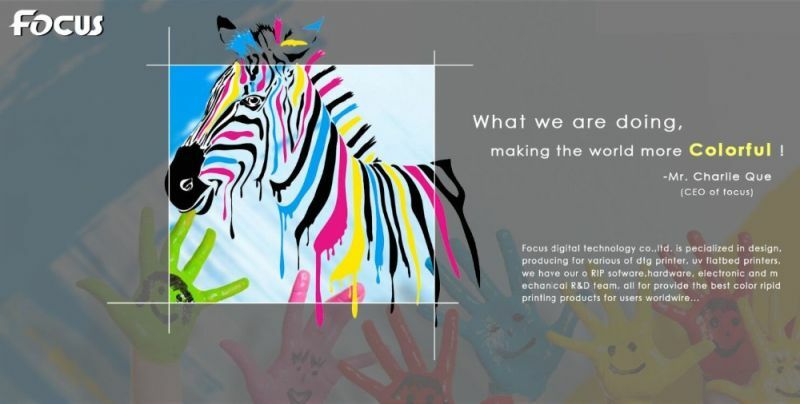 DTGÂ ink/Â Â Â sublimationÂ ink/Â Â Â reactiveÂ ink/Â Â Â dischargeÂ ink/Â Â Â ecoÂ solventÂ ink/Â Â Â CTSÂ ink. 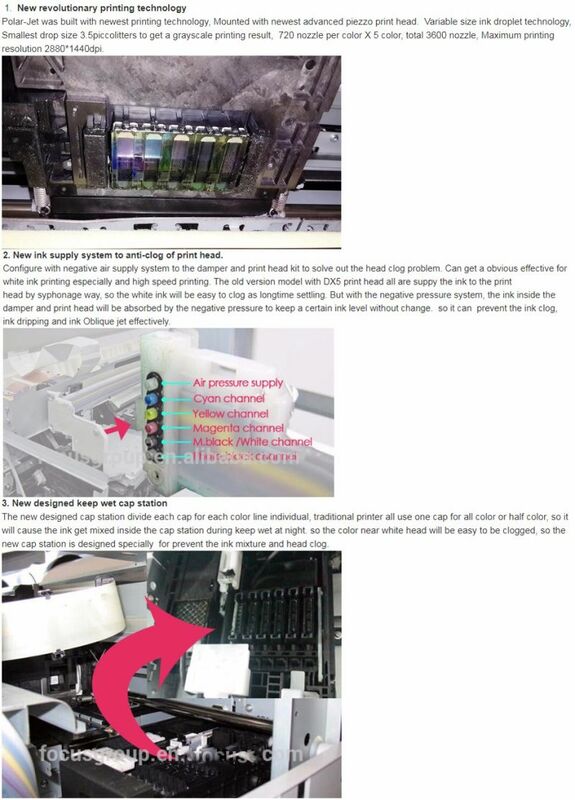 Focus invented chips reset system let you forget the problemsÂ of Â reset the ink cartridge chips, chips can not be detected... also 700ml big ink tank can reduce you job of refilling. The Scheider brand control panel make you opreate the machine easier and Humanity . 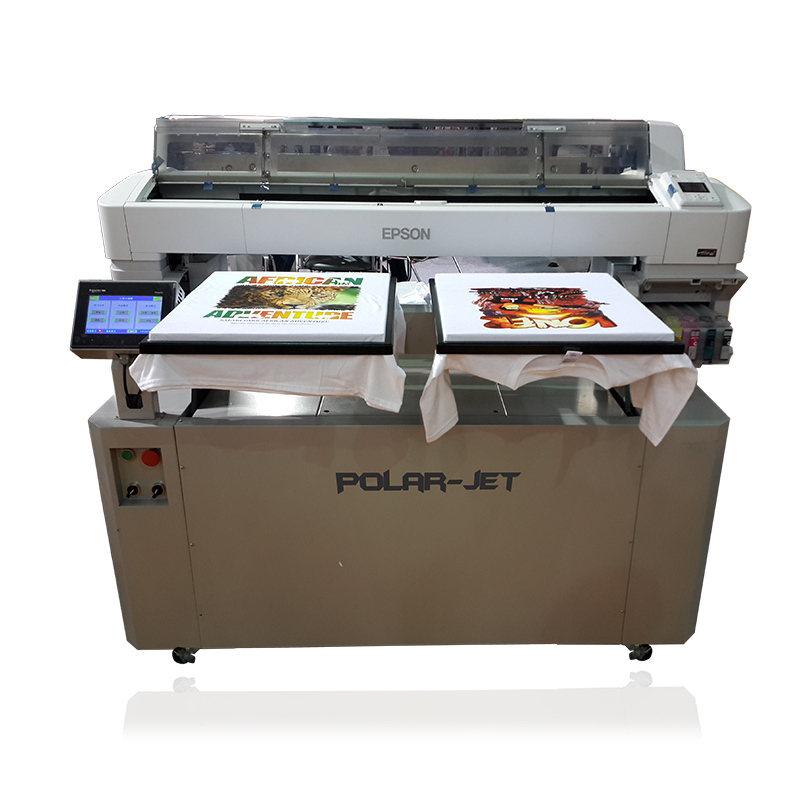 The garment printerÂ apparel printerÂ support dual T-shirt printing pallet with size 40cm*55cm for each and big pallet with maximum printing size.